As we have a wood burning stove we hadn’t thought about sweeping the chimney, but thanks to Sweeps & Stoves we did and our fire is now burning brighter. 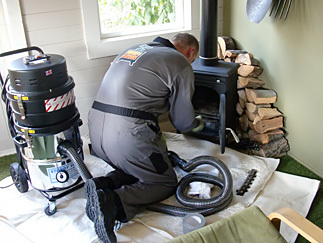 Stoves are a particular passion of ours and we can carry out a full service of your stove or solid fuel appliance when we sweep your chimney or flue. We can also help by repairing your stove or appliance, sourcing and fitting parts as well as renewing door and flue seals. We are very happy to offer advice about how to get the most from your appliance or on the purchase of future stoves and appliances.